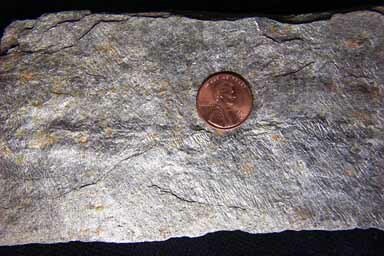 Barrovian metamorphism is the most commonly encountered type of metaorphism. It occurs in intense tectonic conditions associated with Volcanic Arcs, and Major Mountain Building. Indication of barrovian metamorphism is found across time and space in all regions of the earth and produces the most common metamorphic rocks. 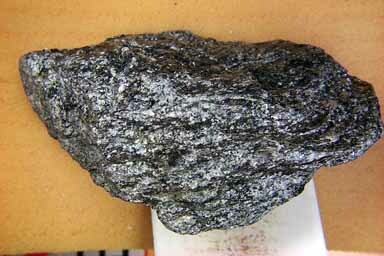 It is also the most complex and the most useful metamorphism geologically. 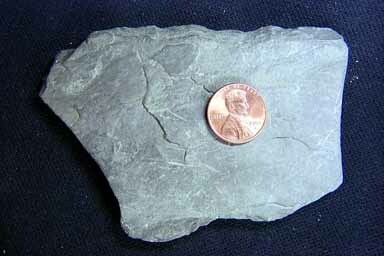 For example, in a shale, the metamorphic Sequence produces the following rocks, in order: slate, Phyllite, schist, and Gneiss. Metamorphism is a process and all rocks will respond by altering their mineralogy and texture to adapt to the new conditions. How they respond depends on exactly what is there to start with. Every parent rock is going to respond to Barrovian metamorphic processes in its own unique way. 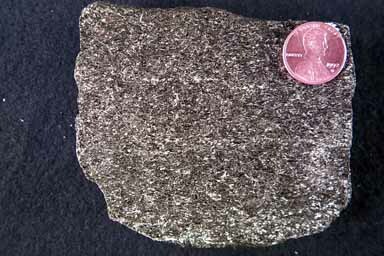 So, if we were to take a Shale, a Basalt, a Granite - side by side - and metamorphose them all together, each of them responding in its own unique way would produce markedly different looking rocks, yet, they were all subject to exactly the same metamorphic processes. Because different parent rocks produce markedly different metamorphic rocks under the exact same conditions, it is difficult to compare them. Determining metamorphic facies and grades can help. A metamorphic facies is a set or range of temperature and pressure conditions under which metamorphism occurs. A facies is the same regardless of when, or where it takes place, or what the parent rock, or the metamorphic outcome is. These three facies are named after the three kinds of rocks, Greenschist, Amphibolite, and granulite. If we observe a terrane of increasing metamorphic intensity, beginning with a mafic parent, like Basalt or Gabbro, the parent undergoes a systematic sequence of mineralogic and textural changes, as shown below. This sequence of transformations is diagnostic, and allows us to recognize the same facies of metamorphism any time or place we see one of these rocks. These rocks are all produced from the Basalt parent, and are as different as the sequence of metamorphic rocks produced from the Shale parent. Observe across the top of the chart the ranges of the rocks slate, Phyllite, schist, and Gneiss. But note that with a few exceptions (e.g. Chlorite, Garnet) the minerals composing these rocks are not the same as for a mafic parent. 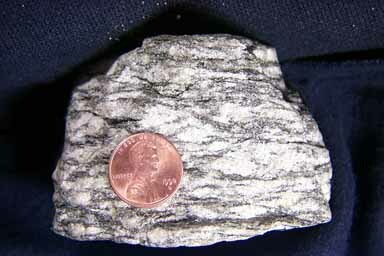 The chemistry of the parent rocks are different, so the metamorphic minerals that can be produced are different. 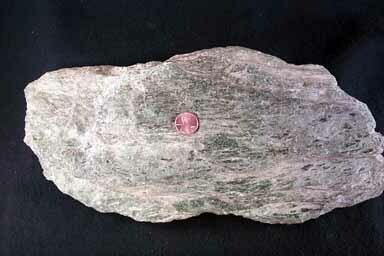 Chlorite is the one common mineral for the Greenschist facies (low grade), but after that the mineralogies are different. 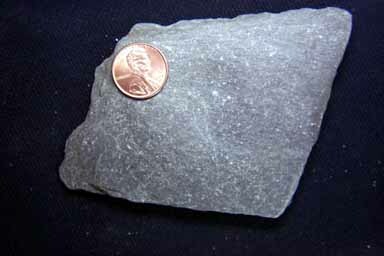 Quartz, feldspar, and Muscovite are relatively universal minerals, and so can not tell us much about the intensity of metamorphism. Other minerals produced during the metamorphism are special however, because they each form at a specific set of temperature/pressure conditions, which we know, and are thus index minerals (red in the above chart). They are index minerals because they index when, during the metamorphic processes, a particular set of temperature and pressure conditions have been achieved, and they appear in a set order: chlorite, biotite, garnet, staurolite, kyanite and sillimanite. And because they each form at a higher temperature and pressure, when we first find one of the index minerals in the rock we know a particualr temperature/pressure condition has been achieved.